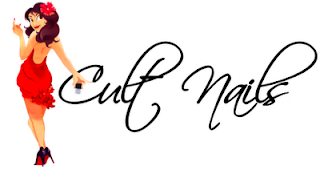 Tonight, Cult Nails announced on their facebook page that if they reach 4,000 Likes, Two "culties" will be picked at random to win an entire collection of their awesome polishes. I'm sure you've heard about "Cult nails Polishes". Head on over there and like their page right now, because not only will there be two random winners if they reach 4,000 Likes, they will also have a one day sale where all polishes will be $5 each when they get to 5,000 Likes. Join the Cult, Click HERE to like their facebook page. I know you love freebies, especially freebies by wonderful companies. Go ahead, Like their page now. Thanks to all my old and new followers. Y'all are awesome. OMG!!! Traci of The Trace Face Philes just became my 104th Follower!! Okay, NOW I'm REALLY EXCITED!!!!!!!!! OMG!!!!!!!!!!!!!!!!!!!!! Thanks Ashesela.. I am really excited here!! And Oh Yes dear, That 5K is What I'm really excited about. That one would be worth it and THEN SOME! Lol... Ohh Wee. Congrats on your followers :-)! !